A change in personality and frequent memory problems that interfere with everyday life: Are these signs of dementia? They at least warrant an evaluation. If you or a loved one experience what you feel may be signs of dementia or Alzheimer's disease, an evaluation is the next step. While dementia and AD aren't curable, there are treatments that can delay onset, as our post describes. As you get older, it’s natural to be concerned about the possibility that you or a loved one will begin showing signs of dementia. In fact, among adults who are age 65 or older, one in nine will develop Alzheimer’s disease (AD), according to the Alzheimer’s Association. How can you tell the difference between the cognitive changes that commonly occur with advancing age and those that may signal the onset of AD? “It’s important to keep in mind that some degree of forgetting is normal as you get older,” says Lisa Ravdin, PhD, director of the Weill Cornell Neuropsychology Service in the Department of Neurology. 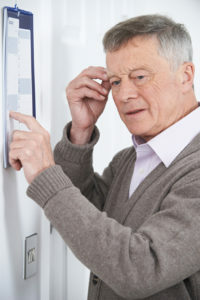 Normal changes in memory associated with aging are characterized by brief memory lapses, such as forgetting names, misplacing objects (such as car keys and eyeglasses), and having more difficulty remembering telephone numbers, addresses, and zip codes. Being unable to remember how to play a favorite game. Having trouble following a recipe you’ve made many times before. Missing payments on bills that have been due at the same time each month or each year for several months or years previously. Frequently forgetting important dates, such as a spouse’s birthday or your wedding anniversary. Getting lost when driving to familiar places, or being unsure of how to get back home. Asking the same question or telling the same story repeatedly. One of the most important things to assess is whether or not your forgetfulness is interfering with your ability to engage in normal, daily activities and responsibilities. 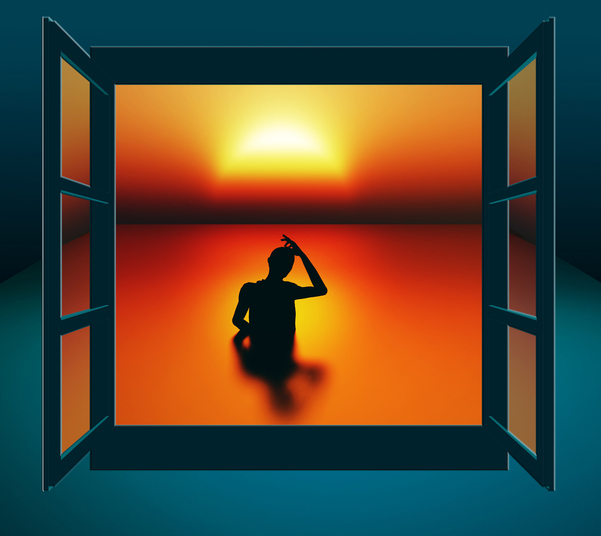 It is common to feel frustration, annoyance, or even worry when you have memory lapses, but that is a normal reaction. Memory problems associated with AD and other types of dementia happen with increasing frequency and are more noticeable to others. People with AD often ask the same questions and share the same information repeatedly, and they may struggle with activities that they once found easy, such as following driving instructions or maps, remembering to take medications, and paying bills on time. Since there is no cure for AD, you may think that there’s not much to gain from an evaluation of your cognitive function. However, an evaluation can be beneficial for several reasons. “There are many possible reasons for having memory problems,” says Dr. Ravdin. “A proper evaluation can help identify the cause of memory issues, which may be something that is treatable.” Vitamin deficiencies, medication side effects, thyroid disease, poor sleep, chronic pain, depression, and stress are some common factors that can affect your memory. An evaluation is used to assess a person’s memory, as well as other aspects of cognition, such as language, attention, auditory and visual processing, motor control, and executive functions, including reasoning, decision-making, impulse control, planning and execution, and organization. “In many cases, people who have AD are unaware of how often they forget things. If family members or close friends tell you that they are concerned about your memory, see your doctor, even if you don’t think you have a problem. Your loved ones may notice changes in your everyday functioning that are not as obvious to you,” says Dr. Ravdin. If you’ve been diagnosed with AD, you may be prescribed medication that could slow the progress of symptoms and improve your quality of life. You can learn coping strategies that will help you continue living safely and independently in a community setting. You can also plan ahead for your own care and make decisions about financial and legal matters; making decisions about your future may help ease your concerns. “When the diagnosis is AD, typically, it doesn’t come as a surprise, especially to the family members. A diagnosis validates their concerns and gives them direction. It’s better to know and get it addressed; often, the diagnosis is a relief, compared to wondering and feeling anxious but not really knowing,” says Dr. Ravdin. In this question-and-answer from Duke Medicine Health News, we offer more detail on the topic of early-onset dementia. Q: How can you tell if someone has early-onset dementia? A: Early-onset dementia refers to having developed dementia before the age of 65. In some people, problems with balance and strength may be the first signs of dementia. In a six-year study of 2,288 men and women age 65 and over, researchers found that people who initially scored higher in tests of physical function, such as walking, rising from a seated position, standing balance, and grip strength in the dominant hand, were three times less likely to develop dementia over the study period than those with low scores. Balance and walking problems seemed to be the first signs of risk for dementia in people without cognitive impairment, while among people who already showed signs of mild cognitive decline, a weak handgrip was associated with later dementia, researchers found. The study suggests that physical and mental performance in the elderly are connected. But memory problems that disrupt daily life, such as getting lost on the way home from a familiar grocery store or an inability to keep track of bills may be early symptoms of dementia, as well. Other early signs may include difficulty remembering names and recent events, apathy, and depression. a memory, aging, alzheimer, alzheimer s association, alzheimer s stages, brain, chronic pain, chronic pain depression, cognitive decline, cognitive function, cognitive impairment, dates, dementia, dementia test, depression, duke medicine health news, early onset dementia, early symptoms of dementia, first signs of dementia, Forgetfulness, health, health news, healthy fats, memory, memory disorders, memory issues, memory problems, mild cognitive, mood, pain, personality, poor sleep, recipe, side effects, signs of dementia, sleep, strength, stress, symptoms of dementia, thyroid, types of dementia, university health news, vitamin, your memory. Very interesting synopsis. I have been examined and will be put through a battery of test in 6 months.